I make oatmeal cookies so often I can almost do it with my eyes closed. Sometimes I use Craisins, sometimes I use chocolate chips or peanut butter chips. Basically I add whatever is in the pantry. My go-to recipe is from a now extinct Williams-Sonoma cookbook for kids. Fortunately, Williams-Sonoma has a fantastic recipe index online and our oatmeal cookie recipe can be found here. I’m not saying these are gourmet or anything. But they are simple and tasty cookies that your kids will eat. Even better, your kids will love to help you make them. 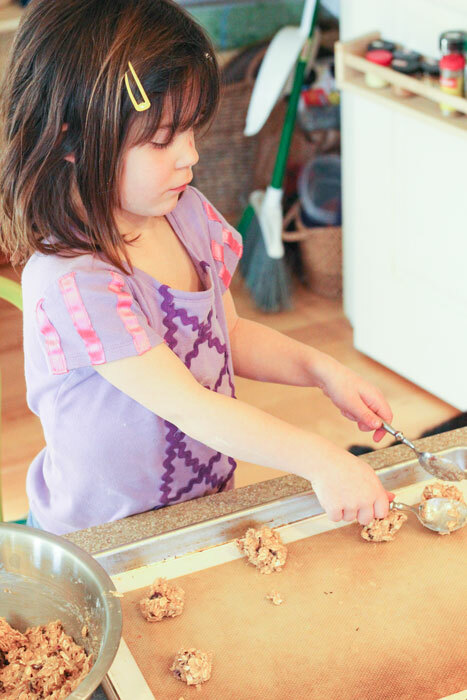 The first time I cooked with my future step-kids, we made oatmeal cookies. The twins were four and Sam was almost three. I stayed home with them while my future husband attended his first and second oldest daughters’ Girl Scout Father-Daughter dance. The girls were in second grade and kindergarten. They were adorable. And so were their younger sister and brothers. I had never cooked with kids quite that young. We made an absolute mess. But we had a ball and the time flew by. I don’t remember if the cookies were any good, but I remember the kids loved them. This was my introduction to two very important lessons in parenting: kids love what they make and cooking is a perfect learning opportunity. We have cooked with our kids ever since. We have cooked to learn fractions. We have cooked to learn culture. We talk about what we eat. 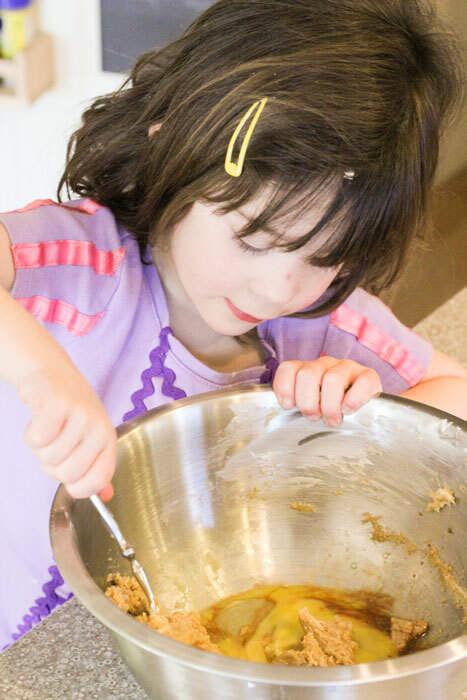 Crazy as it sounds, we let the kids decide whether to keep or pitch recipes. Now teens, our older kids pick dishes and make them for major family holidays. If they eat ramen once they are on their own, it will be because they like it or are feeling lazy, not because they can’t follow a recipe and not because they don’t know something about good food. And so we begin again. The younger twins are almost four. We let them grind the pepper or wash the broccoli or push the pulse button on the food processor. And we bake. They learn. They eat. And it is really good.